Besök någon av våra lokala webbplatser för mer information. Om ditt land inte finns med i listan, se globala kontakter. The Nilfisk VP300 series is a basic, well-built and durable machine that can be relied upon to do the job day in and day out. It is ideal for cleaning offices, hotel rooms, retails outlets and similar light to medium duty applications. The Nilfisk VP300 series has a top rated filtration level with a H13 HEPA exhaust filter as standard on all variants. This helps maintain a high quality of air within the cleaning environment. To ensure the machine will fit your exact cleaning application, the VP300 is available in different variants and configurations. 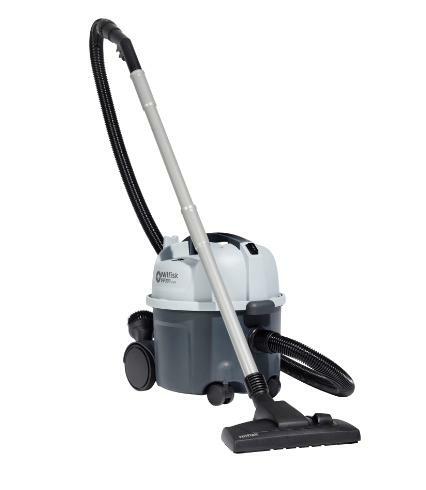 For energy efficient cleaning our VP300 eco variant provides a great cleaning performance and a very low sound level appropriate for daytime cleaning. Har du frågor eller letar du efter mer information? Fyll i dina kontaktuppgifter, så kontaktar en av våra säljrepresentanter dig. Nilfisk och medarbetare inom Nilfisk Group kan kontakta mig via e-post vid frågor som rör våra företag, produkter och tjänster via marknadskommunikation. Klicka här för att läsa mer.